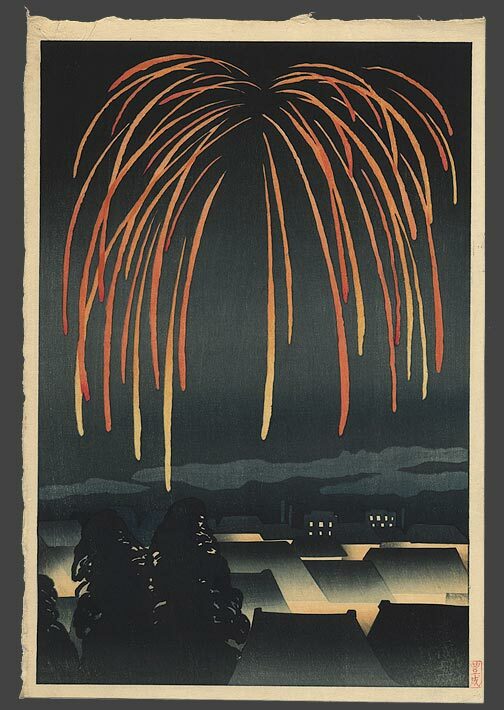 A more modern Japanese print showing summer fireworks. Artist unkown (at least to me). New Years is a time to take a moment to reflect on where we have been. After all, the first step in making a useful resolution is to engage in a little self-reflection. While this is certainly true for individuals, the same basic principle holds for Chinese martial arts as well. As we saw in the first part of this post, 2013 raised a lot of questions that will require further study. Below is my own personal countdown of the top half-dozen news stories that have had the greatest impact on the world of the Chinese martial arts in 2013. Some of these stories made a big splash during the year, others were less well reported, and a few are general trends that seemed to emerge in a variety of places. Collectively they remind us of where we have been and point to a few places that we might be headed in the coming year. So without further ado, here are the top six news stories of 2013! 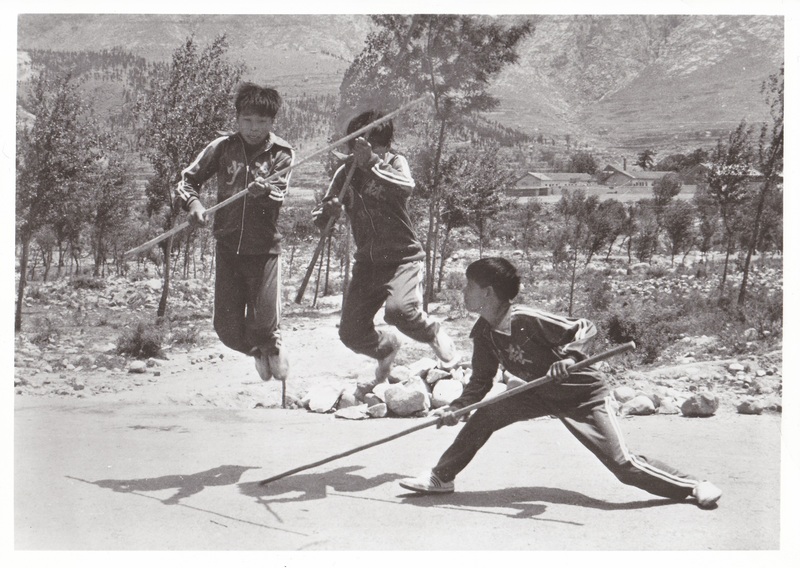 Three unidentified children practice Kung Fu near the Shaolin Temple. This photo was taken in 1982 and it captures the first moments of the “Golden Age” of Kung Fu in mainland China. One of the most disturbing (and commented upon) trends of 2013 has been the declining enrollment rates of younger students in traditional Chinese martial arts schools. This pattern is most evident in China. Even the large Wushu-based vocational high schools have had trouble recruiting students (though in general they are doing much better than the traditional folk-styles). These same basic dynamics (though to a lesser degree) are also evident in the West. While younger students flock to Mixed Martial Arts gyms, many traditional schools are struggling. This trend has led to a great deal of consternation and public discussion. Some commentators are ready to declare the TCMA dead, while others believe that with the right mix of investment and reform they can regain their luster. Some commentators have attempted to lay out possible argument for how the traditional Chinese martial arts might evolve. I even gave an interview on Kung Fu’s current demographic difficulties. Its important to realize that there is nothing new about these conversations. As I pointed out in my own discussion, the traditional Chinese martial arts seem to go through this sort of crisis every 20 years or so. We have literally been having this same conversation since the end of the Ming dynasty. Of course this is only possible because the traditional martial arts have a habit of not dying. In fact, they have shown a great deal of flexibility and adaptability in the past. Certainly the traditional arts can survive. The real question in my mind is whether the teachers and master of our generation will show the flexibility and creativity that was exhibited by every prior generation in propagating and preserving the arts. I have to admit that I am little puzzled that so little progress has been made on this front. As a result the average age of TCMA practitioner in many styles is steadily increasing as younger students look to various alternatives. Still, I remain an optimist on these trend for the reasons that I outlined in my interview above. Hung Kuen Fundamentals (2013) by Lam Chun Fai and Hing Chao. 5. An increasing number of “definitive” books by masters of the Traditional Chinese Martial Arts are being released in English and aimed directly at an international audience. I think that it would be fair to say that our fifth story stems directly from the sixth. As fewer teens in China take up the traditional fighting styles, an increasing number of master and teachers are turning towards their foreign students as a means of promoting and preserving the art. This basic shift can be seen in a lot of places, including the world of publishing. From the 1960-1990s it was very difficult to get high quality information about the various traditional Chinese martial arts styles in the west. The books that were published in China were rarely translated into foreign languages. Most English language works tended to be very introductory in nature and their quality varied immensely. As western students have become more important to the preservation and promotion of these arts, the situation has started to evolve. Perhaps the best example of this evolving trend came this year when Master Lam Chun Fai decided to publish his magnum opus on Hung Kuen in English (co-authored with Hing Chao). This was part of an explicit bid to promote his art abroad where market demand is still strong. This book generated more discussion both on-line and in traditional print sources than any other technical publication on the martial arts that I can remember. It was even reviewed in a major newspaper. Both of the pieces that I linked to are worth reading for how their discussion situates this volume within broader trends in the traditional Chinese martial arts. While Lam Chun Fai and Hing Chao’s book got the most press, it was far from the only new English language publication of its kind. Wing Chun practitioners were excited to finally receive Volume 2 of Chu Shong Tin’s The Book of Wing Chun. Volume 1 in this series reviewed the art’s three empty hand forms. The second book offered a combined discussion of the wooden dummy, the long pole and the butterfly swords. Together these works are the most detailed discussion of the Wing Chun system by a direct Ip Man student. In prior decades its unlikely that these books would have been published in English. In fact, they may not have been written at all. Other major works of note released in 2013 include The White Eyebrow Style by Thomas Cheng and The Chen School Gao Style Baguazhang Manual by Liu Feng Ca (to name just a few examples). There is a certain irony in all of this. Many traditional Chinese martial arts are facing declining fortunes. Yet at the same time they are producing increasingly high quality technical and historical discussions which are aimed at an ever broader global audience. In fact, students of Chinese martial studies have more resources at their fingertips today than they ever did during the “golden age” of the 1970s or 1980s. Perhaps this is yet more proof that the “Owl of Minerva flies only at dusk.” Alternatively it could been seen as evidence that there is still a groundswell of enthusiasm for the traditional fighting styles, but it is taking a different form than it might have in prior decades. It also suggests that today’s students are both interested in a sophisticated understanding of their practice and are willing to spend some resources to achieve it. While not all of the demographic data is pretty, there is some cause for hope in this. 4. The City of Shanghai redevelops a neighborhood and local park to promote the memory of the Jingwu Association. During the round-up of the top news stories for 2012 I noted that recent trends in Chinese real estate development were shaping how individuals imagined and remembered the local martial arts. Particularly important in 2012 was a planned revitalization of Foshan’s downtown core which emphasized the area’s martial arts heritage. Increasingly real estate consumers have been demanding more livable multipurpose neighborhoods with a sense of historical connection to the local area. Shanghai seems to be the latest city to be looking to its martial past to anchor such a redevelopment project. Interestingly this city’s most recent initiative was not the result of central planning. Rather it grew out of a response to the public outrage that erupted when it became known that an old building which had once served as the headquarters for the Jingwu (Pure Martial) Association was about to be torn down to make way for a new development. Sensing some real enthusiasm the city instead moved to renovate the building, convert a local gym into a Jingwu training hall, and redevelop a local park to promote awareness of the role of the martial arts organization in the city’s history. Special programs have also been announced to make free Kung Fu instruction available in the park, including plans to promote its accessibility to both local youths and foreign students. While not everyone believes that this is how the city should be promoting itself, the overall response to the project seems to have been positive. Again, this would indicate that while fewer students may be showing up to classes than in the past, the martial arts have succeeded in enshrining themselves in the national self-image. The interest in Jingwu’s heritage and art is certainly there. The real question is how to capitalize on it. 3. UFC tries to muscle its way into the Chinese market. The Chinese media market likes combat sports. That much is clear. It is also increasingly obvious that the Mixed Martial Arts are going to capture a slice of that market. But beyond that there are still a lot of questions. In general Chinese fighting fans seem to prefer less violent contest with lots of action, where one fighter might be taken out with a single well executed attack. This has really been true since the days of Lei Tai fighting. Sanda has a large following. It will be interesting to see how much of this enthusiasm can translate into the slow and steady ground-game of jujitsu. It is also unclear how much, if any, of this emerging market the UFC will be able to capture. They have made no secret of their desire to tap into China’s vast media market. And they possess an immensely popular global brand. Still, their success is far from certain. There are currently a number of domestic alternatives to the UFC in China, each vying for cut of the market. The UFC has had trouble recruiting local talent and forging a strong emotional connection between its current fighters and Chinese audiences. In 2013 the UFC moved to address both of these challenges. In November it held its first sanctioned tournament on Chinese soil in the city of Macao. Cung Le, a Vietnamese-American fighter, electrified the audience with his KO victory over Rich Franklin. 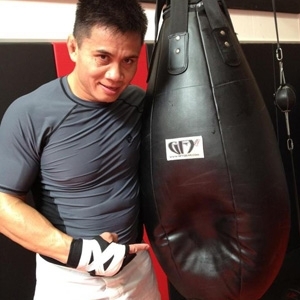 Apparently his rising domestic profile led him to be selected as one of the coaches for the UFC’s new season of its popular reality program, Ultimate Fighter: China. Western MMA fans have been somewhat disappointed that the show is not being translated or broadcast outside of the Chinese media market. Still, for the UFC this is a valuable opportunity to recruit and educate a fan-base. It will also assist the network in its ongoing efforts to cultivate more domestic talent. This is another story to watch in 2014. A still frame from the highly controversial 2013 Johnnie Walker advertisement featuring a digitally rendered Bruce Lee, re-imagined as a some sort of nouveau riche real estate tycoon. 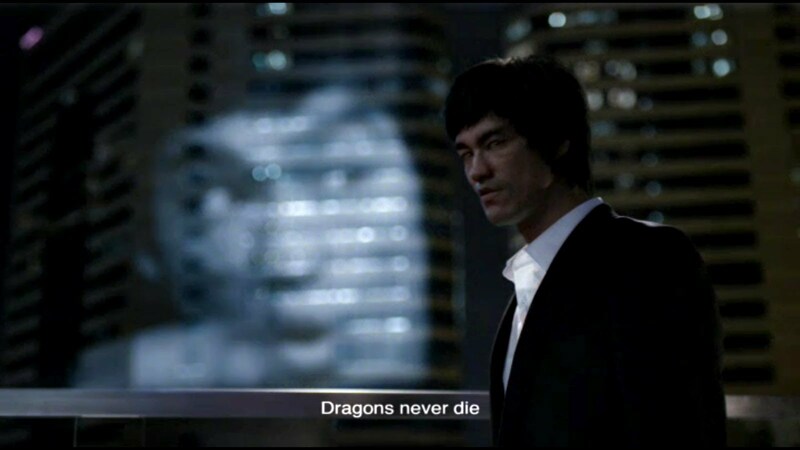 In 2013 Bruce Lee once again proved that dragons never die. This year marked the 40th anniversary of both his death and the release of his masterpiece, Enter the Dragon. For a solid month the media seemed to be swept up in a revival of the “Kung Fu fever” of the 1970s. Literally hundreds of stories were run in newspapers and magazines. Both television and radio shows were produced to discuss his legacy and ongoing contributions to the martial arts. Students of Chinese martial studies even got in on the act, with Paul Bowman releasing his volume Beyond Bruce Lee: Chasing the Dragon Through Film, Philosophy, and Popular Culture (2013). It was interesting to see the sheer variety of stories that unfolded around these twin anniversaries. Some, such as the opening of the new museum exhibit in Hong Kong, were not entirely unexpected. Others, including the increasingly frequent attempts by various individuals to claim Lee as the spiritual godfather of MMA, pointed to interesting cultural trends. A few of the stories, such as the controversy surrounding Johnnie Walker’s use of Lee’s digitally recreated image for their new advertising campaign, even seemed calculated to stir up some discussion (not all of which was positive). 40 years after his death Bruce Lee still has the power to awe and inspire us. For a month his memory was enough to get everyone talking about Kung Fu. I cannot think of any better proof of his ongoing cultural relevance than that. Ip Man as imagined by Wong Kar-wai. I am not going to lie. It was a struggle to decide which of the two top contenders would get the crown as 2013’s top news story. The sheer volume of press coverage that Lee generated was truly impressive. Yet at the same time 2013 was the year that Ip Man, his teacher, stepped out of his shadow to become a solidified and recognizable figure in his own right. 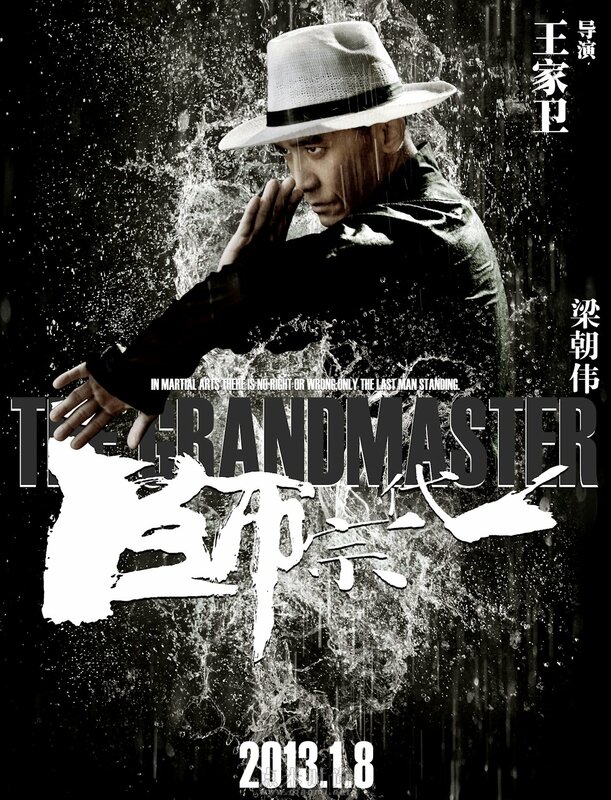 Much of the coverage surrounding Lee was an exercise in nostalgia, but Ip Man’s portrayal in the Grandmaster (directed by Wong Kar-wei) and Ip Man: the Final Fight (Herman Yau) helped to take Kung Fu storytelling in new and exciting directions. Of course its also difficult to select only one of these stories because they are intimately linked. Bruce Lee was responsible for introducing his instructor to Western martial artists in the late 1960s, making him one of the first Chinese teachers to gain widespread recognition outside of this homeland. Bruce Lee would not have been the martial artist that he was without Ip Man, nor would Ip Man be the media figure that he has become without Bruce Lee. Over the last few days I have found myself wondering whether the lives of these individuals have become two aspects of the same popular culture mythos? Ultimately I selected Ip Man as the top news story of 2013 for three reasons. First, the news coverage of the two movies dramatizing his life has been distributed throughout the year. Secondly, it seems clear that the creative visions of Wong Kar-wei and Herman Yau are going to have an impact on how the public imagines the Chinese martial arts for years to come. This is likely to effect everything from the sorts of story lines that are seen in future Kung Fu films to enrollments in Wing Chun schools. Lastly, understanding the social history of Wing Chun has always been a central mission of this blog. His rise to fame both validates that focus and suggests a number of new and interesting questions. 2013 was the year that everyone was talking about Ip Man. This concludes my roundup of the top news stories and events of the last year. Did I miss something? What would you have included in the list? Let us know in the comments below. In the next post I will name my selection for the “Best Chinese Martial Studies Webpage of 2013.” You won’t want to miss it!